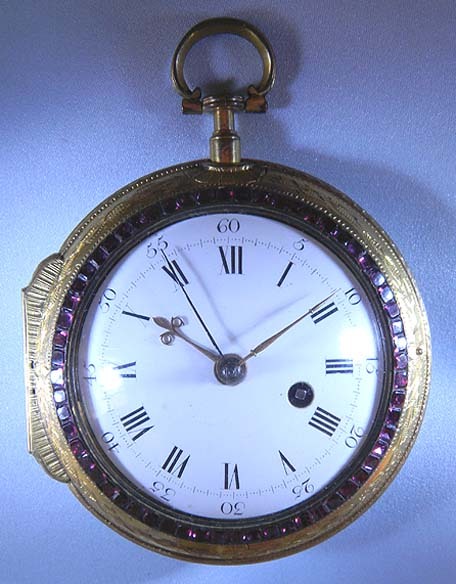 Fine and scarce skeletonized English coach watch for the Chinese market by Grantham, London, circa 1760. 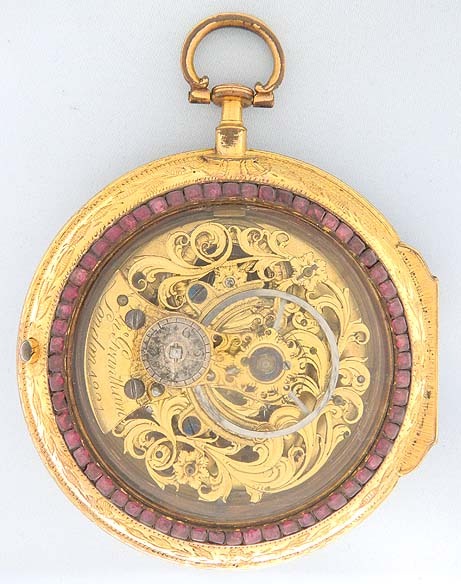 Gilt engraved case with red hard stone set bezels. White enamel dial with gold beetle and poker hands and (repaired) blued steel sweep second hand. 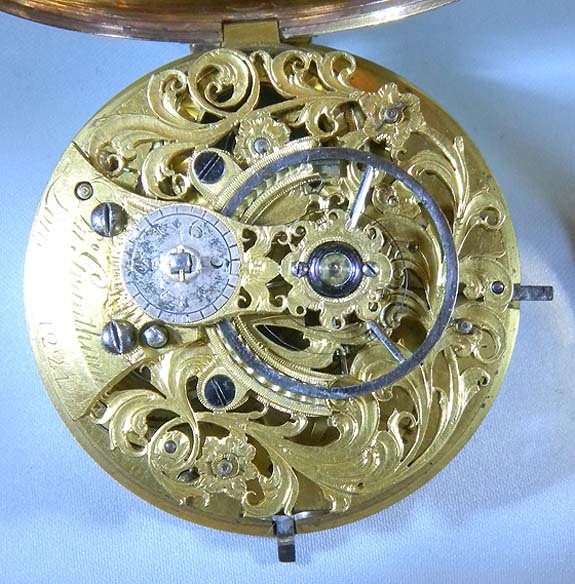 Beautifully pierced and engraved movement with stop lever.